If you've ever felt the tug of such questions - or if you just want to fine-tune your ability to see how deeper questions of ethics and values apply to the choices that make up our lives - these 24 lectures bring to life the insights of thinkers and artists who have grappled with these questions for thousands of years. Socrates said, "The unexamined life is not worth living." 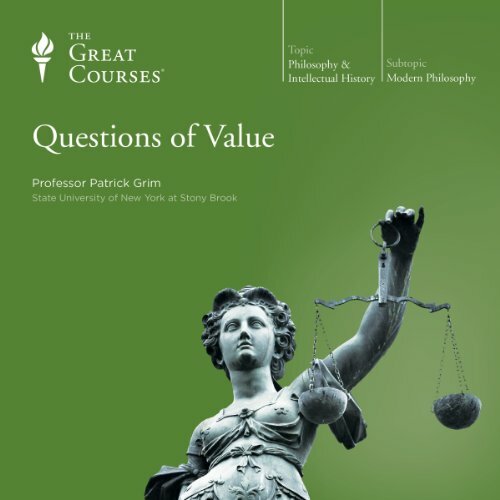 To examine these questions, Professor Grim casts a wide net, drawing from history, theoretical economics, game theory, theoretical biology, and sociobiology - with a few forays into physics, anthropology, and psychology. But it isn't only scientists and historians who ask us to consider our values. Writers as varied as Charles Dickens, Fyodor Dostoevsky, Ursula Le Guin, Mark Twain, Anne Rice, and Jorge Luis Borges have also delved into the meaning of life and the values we live by. In exploring the course's varied sources, Professor Grim takes great care to introduce each concept carefully so that each new concept builds on the last. His presentation - even of the most nuanced material - is consistently clear, even to those with no background in philosophy.